The full review will be published in the Journal of Socialist History. Today, I have been working on a review of His Hands Were Gentle: Selected Lyrics of Víctor Jara, a book of lyrics and poetry by the Chilean folk singer, Víctor Jara, whose life story has been overshadowed by his torture and death, yet the power of his music and lyrics live on. Allied with the nueva canción movement in Latin America, his songs draw on folk roots to engage simply and powerfully with the political and social struggles of workers and laborers in Chile and elsewhere. This is the first bilingual edition of his lyrics and is a welcome publication that should draw in an even wider audience/readership for his poetic songwriting. Amongst his more popular songs included, such as “Te recuerdo, Amanda” [I Remember You, Amanda], “Canción del minero” [Miner’s Song], “Plegaría a un labrador” [Prayer to a Labourer], “Preguntas por Puerto Montt” [Questions About the Massacre of Puerto Montt] and “Manifiesto” [Manifesto], is the well known poem/song “Estadio Chile” [Chile Stadium]. He never recorded “Estadio Chile”, because it was written while he was in detention after the coup by General Augusto Pinochet on 11th September 1973. The song was smuggled out (apparently) in someone’s shoe. He never escaped and was to die among thousands of others in the football stadium that since 2003 bears his name. According to the notes in the back of the book “Estadio Chile” was intended to be recited as a poem except for the last verse starting, “Canto que mal me sales/cuando tengo que cantar espanto” [How hard is it to sing/when I must sing of horror], which is to be sung. These words are both an act of defiance and a lament at the terror that he has borne witness to and experienced. Given that he never recorded the song it is not defined by his version, unlike other songs, where to read them is to hear his voice. Therefore, today I went in search of versions of “Estadio Chile” and came across the following three that I want to share here. 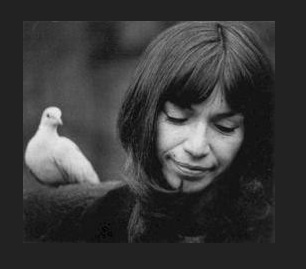 The first is a reading accompanied by music by the US folksinger and activist, Pete Seeger. 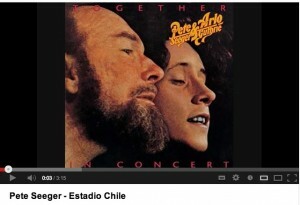 Seeger gives some background to Jara’s life and recites the poem, although not in its entirety. There is a section missing. 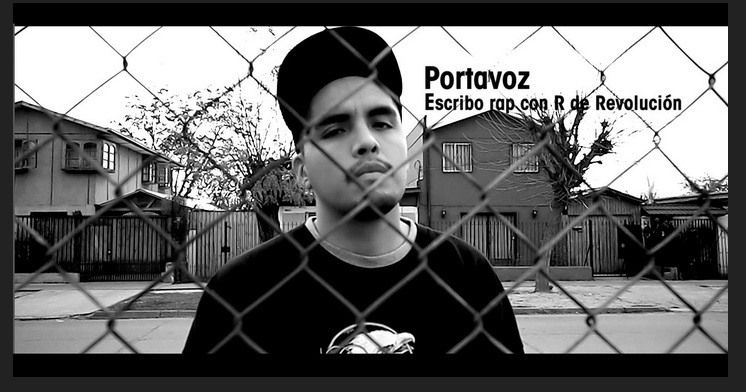 The second is by the Chilean rap artist Portavoz [spokesperson]. His version is delivered in a typically strident and angry rap style, with a very tuneful musical accompaniment and his own improvisational riff on the original lyrics towards the end. when I must sing of horror! horror in which I am dying. What I see, I have never seen. These words say so much, but also allow space for meaning to be construed by the listener/reader and is characteristic of his style. He packs considerable emotional, political and cultural weight into deceptively simple language. I would recommend that anyone interested in protest songs read this book and use it as a way of listening to his music with a richer understanding of what he has to say. For those keen to know more about Jara, there is a dedicated chapter in Dorian Lynskey’s 33 Revolutions Per Minute: A History of Protest Songs which discusses “Manifiesto“. Pinochet’s regime may have tried to silence Jara, but his words live on. Espada, Martín (2012) His Hands Were Gentle: Selected Lyrics of Víctor Jara, Foreward by Joan Jara, Middlesbrough: Smokestack Books, 83pp, ISBN 978-0-9568144-1-8. Lynskey, Dorian (2011) 33 Revolutions Per Minute: A History of Protest Songs, London: Faber and Faber.